Kitchens should be fun! It’s so easy, dance if you want to. The quest for the most efficiently built cabinets never ends. Here is a Merillat ad from the sixties, (maybe someone from Merillat can confirm the year of this ad for us), that shows modern convenience back then, to the new video from Blum showing us the latest technology and convenience today. Ok, so a little more news on base cabinets today. Yesterday we looked at corners in action, today we are going to look at a real cute guy in action. (Grin). This video deserves a post all on it’s own. A man who dances and cooks. I LOVE THIS! Servo drive has been around for a few years, but this video was just created in May ’09. Think of the uses, even if you limit the Servo drive to just one of your hardest working drawers, imagine the convenience! With a tap from a knee or a push from the hip, no more water drips on the cabinets near the sink. No more chicken hands on your drawers or cabinet pulls. The product is showing the new Blum Servo Drive for drawers. Drawers open automatically using an electrical drive. Sorry, cute guy not included. Have you ever left the house and can’t remember if you turned your heater, a/c, coffee maker, or iron off? Z-Wave wireless technology gives consumers the ability to wirelessly turn lights on/off, control appliances, and even adjust the thermostat- all with just the click of a button. With Z-Wave, you can perfectly tailor your household energy consumption for maximum efficiency or preference, anytime, from anywhere. 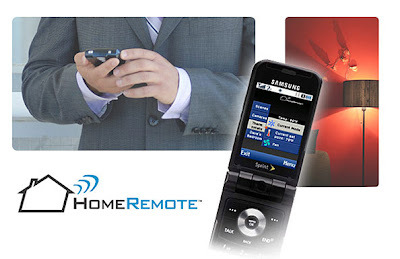 Fremont, Calif. –November 11, 2008 – The long wait for mass-market wireless home control solutions in retail stores is finally over. Today marks the availability of Z-Wave-based home management solutions in Fry’s stores across the nation. Stores are located across nine states including California, Texas, Arizona, George, Illinois, Indiana, Nevada, Oregon and Washington. The Z-Wave display will exclusively feature products from three Z-Wave Alliance members – Wayne-Dalton, Hawking Technologies and GE – with the goal of providing consumers with a one-stop shopping resource for Z-Wave-enabled home automation and control solutions. Z-Wave is the first technology to bring affordable, reliable and easy to deploy wireless home control to every aspect of daily life – the home environment, consumer electronics, and energy management – to create a truly “connected home.” With energy bills rising, home control technologies such as Z-Wave are becoming a cornerstone of home energy conservation and management. Using a wide range of sensors and controllers available to the homeowner, Z-Wave can precisely tailor a home’s energy usage by the device, by the room or by the whole house. To find a Fry’s store near you, please visit http://www.frys.com/.